Super moon. 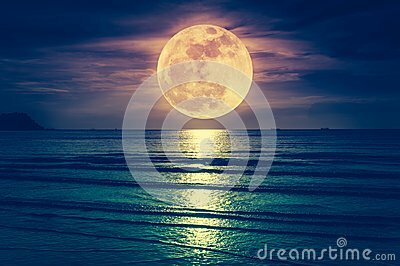 Colorful sky with cloud and bright full moon over seascape in the evening. Serenity nature background, outdoor at nighttime. Cross process. The moon taken with my own camera.